I have found some more very nice themes for WindowMaker. If you like to use WindowMaker as the window manager you should visit Jess Anderson's site Themes for Window Maker. At the moment I'm using the theme Bavarian Road. 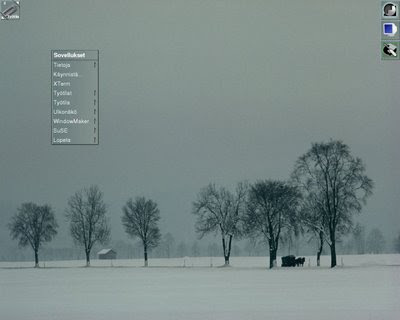 It's a nice rather grey theme, very easy for my eyes and has nothing that would disturb me while I write.